I have mixed feelings about this. First, something like this has the potential to be an amazing way to celebrate the original arcade games and experience. The key word here is “experience” – These games have been enjoyed on many other platforms for years, but rarely do you find the true feel of an arcade game: A competitive, shared experience on quality hardware. As always, my first concern is the emulation quality. 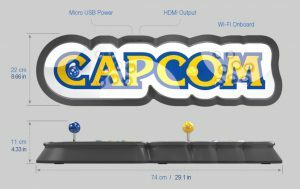 Will Capcom deliver hardware with an accurate experience to the original, or will it be a typical laggy emulation console with a cheap processor inside. Their webpage states “emulation provided by FB Alpha”, but that can perform very differently based on processor and any custom configurations. I’d expect Raspberry Pi levels of performance, which can be very laggy. RPG’s and other turn-by-turn games will almost never be effected by lag, but fighting games designed for a CRT arcade experience will greatly suffer with any lag at all! 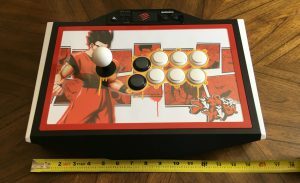 At a $300 price point, I doubt Capcom has built an FPGA arcade stick…but the feasibility of that happening isn’t far away. 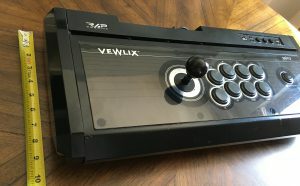 If the MiSTer team can get CPS cores running accurately enough, this stick’s (theoretical) software emulation might be obsolete before it even launches. I guess performance will remain to be seen. 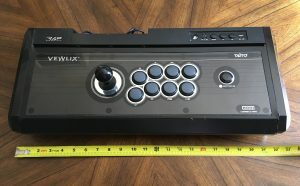 Also, the 1-player Vewlix arcade stick that’s grown to be by far my favorite is almost the entire size of the Capcom 2-player stick! With this device clearly aimed at the adults that used to play these games, you’d think they’d account for the average height and weight of older players – Chunkers like me could have benefitted from another inch or so of width. I guess it all comes down to price vs performance. 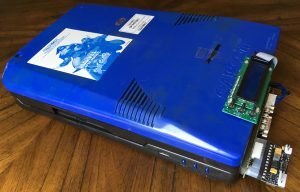 At the moment, I’m extremely happy with my current CPS2 solution: It’s got a Darksoft Multi with every single CPS2 game and hack loaded, the Undamned anti-suicide upgrade and Markus’ 1080p HDMI output board. 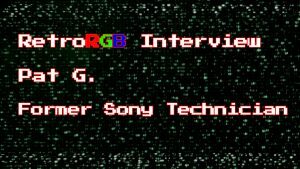 On top of that, it can still be used in a real arcade, or through a supergun on my RGB monitor. Every Capcom enthusiast will settle for nothing less and are equally as excited for the CPS1 versions of the same upgrades…however cost and effort are a HUGE barrier for most people here. 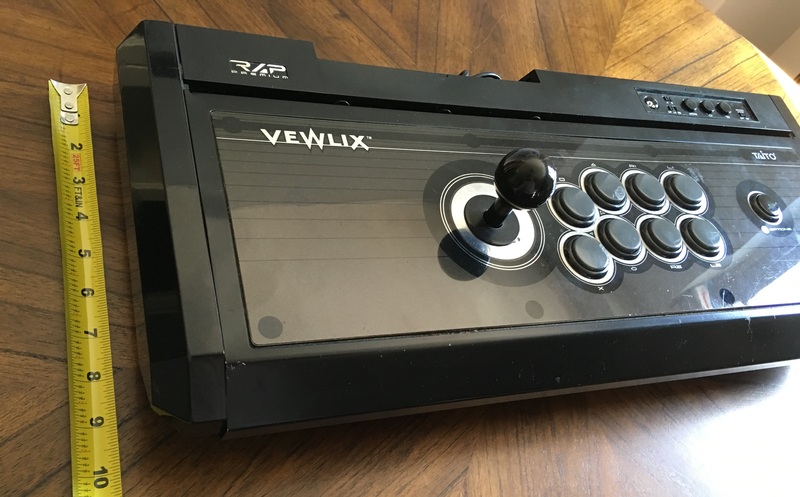 A complete CPS2 kit like the one pictured above will be over a thousand dollars after installation costs and finding talented people to perform the installs can be a challenge depending on where you’re located (no problem here in NYC though!). 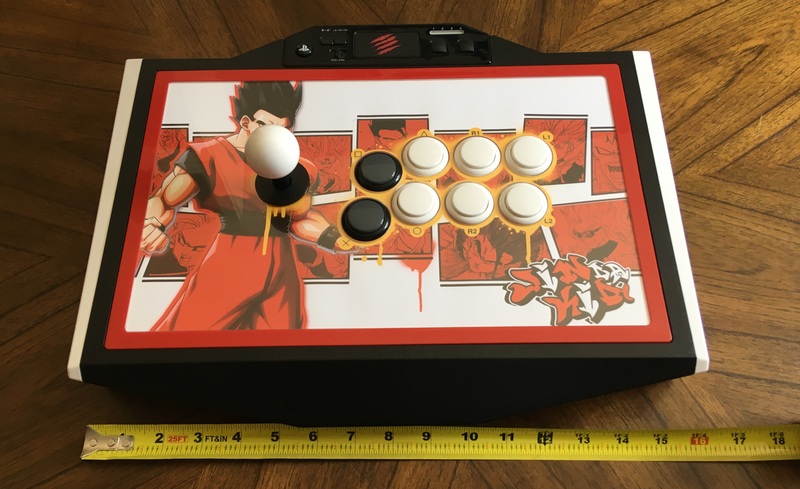 Then you’ll need a competition-grade arcade stick with all quality parts inside, wired to an arcade standard; I prefer just wiring my sticks with a DB15 (Neo Geo style) port and to the 6-button standard (buttons 5 & 6 on pins 3 & 10). 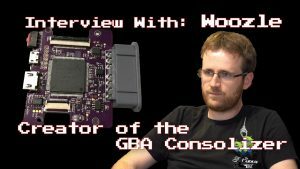 Assuming your supergun uses a DB15 port, that’s the easiest way to ensure a zero-lag solution, however using MC Chthulu or Brook Retro boards combined with Undamned’s USB adapter is an excellent solution that only ads an average of 1ms lag. 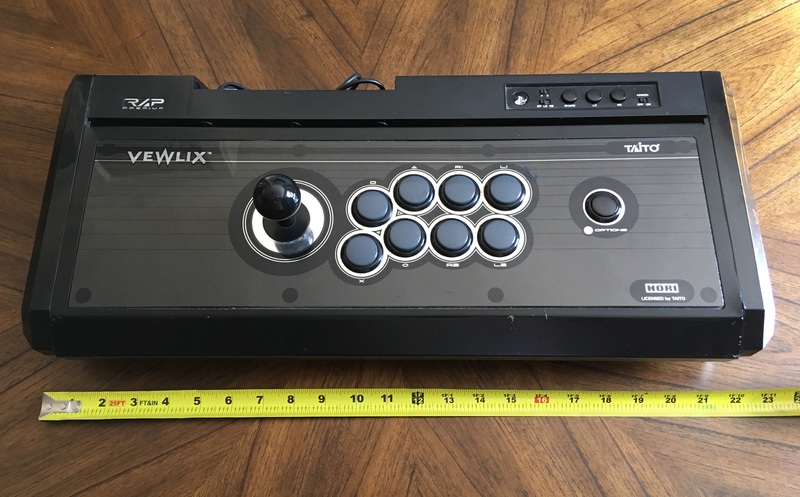 Regardless of wiring options, that high-quality stick will run you at least a few hundred dollars…and a bit more if you need someone to wire it for you. 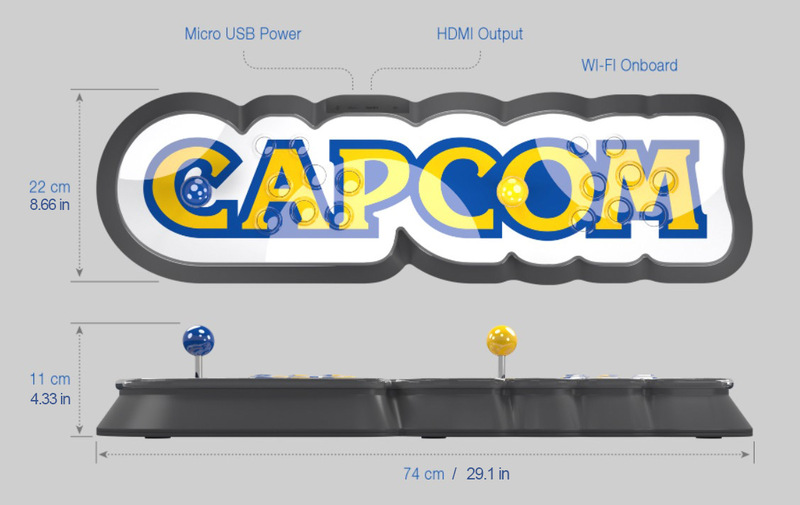 In fact, it’s plausible that the stick alone will run you more than this entire Capcom HDMI solution! 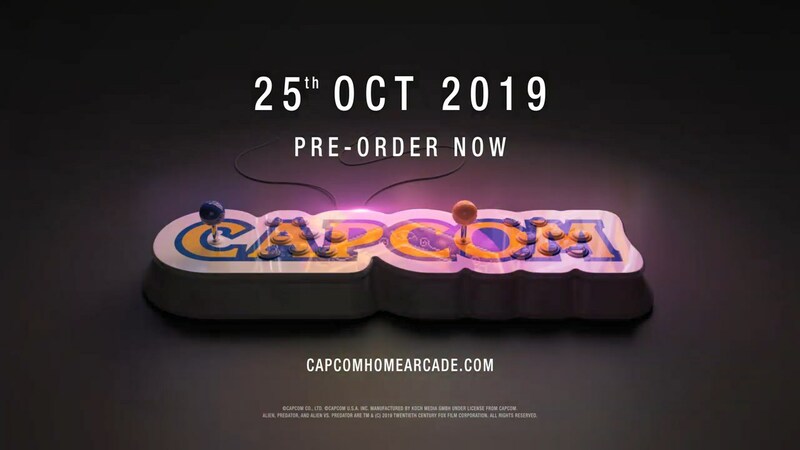 So I guess that’s what this really comes down to: Can Capcom release a device that’s cheap enough to interest people normally unwilling to drop money on expensive arcade equipment, but high enough quality to not ruin the experience? …and is there any chance that it’s a solution experts won’t hate? I’m looking forward to seeing what people at the 2Old2Furious events think about this and hope someone brings one to the next event after it’s release.